And the people begin to sing… Lalalaiá…. João Nogueira and Paulo César Pinheiro (seated) composed over 50 sambas together. They celebrated their partnership with the release of the album Parcerias in 1994, which features 17 of their top hits. This trilogy was inspired by an argument that Paulo César Pinheiro witnessed one day at Odeon Records in Rio de Janeiro. Pinheiro looked on as a grumpy director at the studio scolded a maestro who had let his cigarette ashes fall on the floor. The studio was swank and sparkling; Prince Charles had been flown in to inaugurate it. But as Paulo César Pinheiro watched the tiff between director and maestro, he reflected on how silly it was: The posh studio that the director was so concerned with protecting would be gone one day, and the names on a plaque on the wall, including Prince Charles’s, would fade away. The music that was being recorded there was what really mattered – it would last forever, and immortalize the artists’ names. The three songs in the trilogy are dedicated to three essential moments in the process of composing a song: a reverence for music, which inspires the desire to compose; the moment of creation; and the act of singing the song. The last line of “Minha missão” is a common saying in Brazil, referring to the process of making a wooden instrument that begins with the death of a tree and ends with the music made by the instrument. Paulo César Pinheiro (b. Rio de Janeiro, 28 April 1949) is a renowned composer and lyricist who became highly sought after as a partner after the success of “Lapinha” (1968), which he composed with Baden Powell. He has worked with five generations of musicians, from Pixinguinha, who would be around 116 today, to Joaquim Carrilho, 17, the son of Mauricio Carrilho. But he emphasizes that he barely noticed the changes in generations because throughout his career, his sole focus as a lyricist has been to remain faithful to whatever music he’s working with. Following this simple principle, he has released over 1200 songs, sung by Brazil’s most celebrated singers, and has around 800 yet unreleased. His participation in the composition process has varied from song to song: In some cases he only composed lyrics; in others, he built on top of lyrics that were already written (this was the case with “Lapinha”, which already had a refrain that Baden Powell had adapted from a folk chant); sometimes he composed pieces of melody, as well; and he has released a number of songs that are fully his own. His partnership with João Nogueira is representative: It began with “Espelho,” an ode to Nogueira’s father, which Nogueira gave to his friend Pinheiro with lyrics partially written. 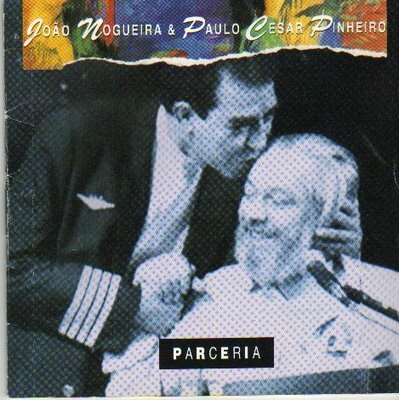 In the 1970s, Nogueira delivered complete melodies to Pinheiro for him to write the lyrics (including “Eu, hein, Rosa!” and “Batendo a porta“) and by the 1980s, Pinheiro began some of the songs himself, including the sambas in this trilogy. He showed them to Nogueira with the melody and lyrics partially written, and asked Nogueira to add to the melody, at which point he then contributed more lyrics. 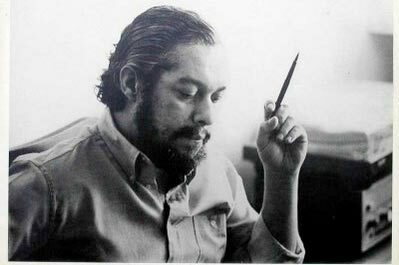 João Nogueira (12 November 1941 – 5 June 2000) grew up in the Méier neighborhood of Rio de Janeiro, where he began composing sambas at the age of 15 for the neighborhood’s Carnival bloco. He identified himself as a “sidewalk sambista” – like Noel Rosa – rather than a “hillside sambista” like Cartola and Nelson Cavaquinho. He released his first album with Odeon Records (EMI) in 1972, but major critical and popular success came in 1974 with the release of his second LP, E Lá Vou Eu, which included “Eu, hein, Rosa!” and “Batendo a porta.” His samba gripped the public because it was different from the hillside and Carnaval samba school styles, and also different from the “beachside apartment” style of composers like Tom Jobim and Carlos Lyra. Rather, his sambas evoked traditional suburban Rio de Janeiro and its “homes with verandas” where choro and seresta had reigned in the earlier part of the century. João and Paulo Pinheiro met through João’s older sister Gisa, who was a friend of Baden Powell’s sister and Paulo’s friend, Vera. Gisa introduced Paulo to her brother João, and the two quickly became “partners of the bohemian life.” Paulo liked João’s music from the start, but the two did not work together until a couple of years later, when João asked Paulo to help him with the lyrics for a song he was composing in honor of his father, who had passed away when he was a boy. The song, “Espelho,” was released in 1977. João Nogueira died of a heart attack in 2000, at age 58, and his son, the sambista Diogo Nogueira, now performs the song “Espelho” frequently. Many fans think it was Diogo who wrote it for his father. Vem a mim, ó música! Main sources for this post: A Letra Brasileira de Paulo César Pinheiro, by Conceição Campos; Histórias das Minhas Canções by Paulo César Pinheiro; and this interview with Paulo César Pinheiro.